Everpurse is a portable power pack disguised as a handbag. When it comes to great gadgets for gals, tech companies have been slow to realize they can’t just make the same old gadgets and slap some pink paint on them. Battery boosters for mobile devices are a must-have, and with the Everpurse, you can kiss the days of a dead cellphone goodbye. It’s a portable power pack that comes oh-so-couture-ly disguised as a super stylish handbag. When you’re not using your phone, you just slide it into Everpurse, where it will charge (up to two full charges a day). There are no wires here: Your phone fits into a special charging slot so you never need to fish for cables. The Everpurse itself charges by setting it on an inductive charging mat. Goodbye, tangled nest of cables! If your classy clutch isn’t charging your phone, it could be playing your favorite tunes. 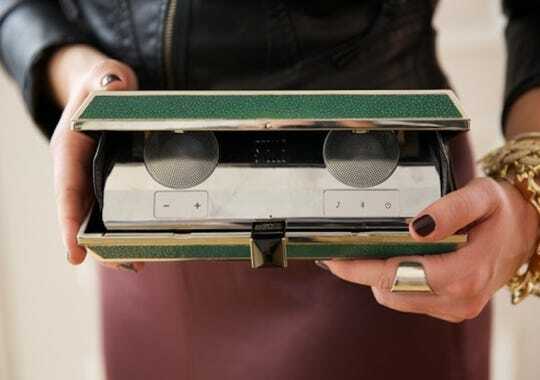 Southern California company Stellé Audio Couture recently teamed with New York fashion designer Rebecca Minkoff to create a wireless Bluetooth speaker that doubles as a luxury designer handbag. OK, lust list aside, how about some go-girl gadgets that we normal gals can actually afford? One of my favorites is the Jackery Mini. This tiny charger weighs in at less than 3 ounces and is about the size of a tube of lipstick. But it still packs enough power to run your smartphone for up to 50 hours. And while we don’t like the fact that you’ll need to carry your smartphone’s charging cable to plug in and power up, we can’t argue with the superlow price — or supersmall profile. 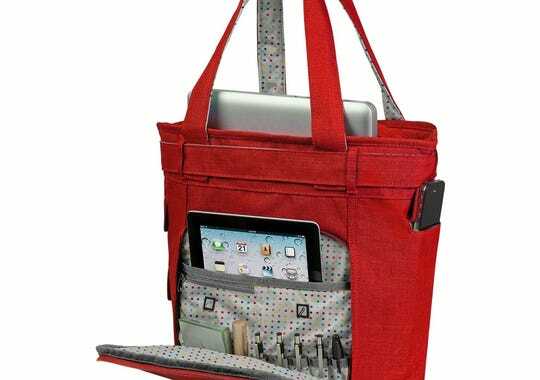 While this tote from Ogio doesn’t have the tech of the Everpurse, it is designed with padded slots, sleeves and pockets to carry your laptop, your tablet, and all of the cables and accessories needed to keep your gadgets going — in addition to whatever else you need to haul around. And, of course, it comes in a variety of colors, one of which is sure to please. I’ve been using this for about three months now and have gotten many, many compliments on it. The wearable tech trend is so hot right now, as seen with all the new fitness devices, Google Glass, smartwatches, and even a bra that doubles as a gas mask (’cause we all need one of those, right?!). But most of the smartest high-tech fashions are still prototypes, let alone realistic for a mass audience. While still crazy expensive, a standout in this about-to-become-mainstream field is CuteCircuit, a London-based interactive-fashion company. LED technology is tucked into these gowns and mini-dresses in a form-fitting way that totally flatters by creating sparkles, glows and twinkles. Scottevest is another high-tech clothing company doing right by women. 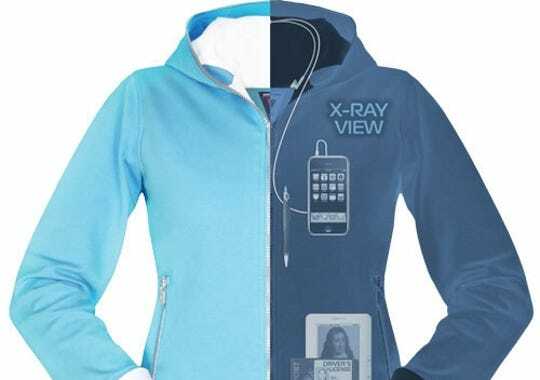 It makes jackets, hoodies, vests, cargo pants, even a dress, filled with 10-22 hidden pockets to carry all your gadgets. It’s like having a purse … without the purse. All of its clothes are designed in a way so that they don’t weigh you down or look bulky even when the pockets are loaded with everything you need to get through your day. This stylish watch offers the classical look of an analog watch — though it comes in some bright, less-classic colors, if that’s your thing — with the features of a modern smartwatch. The Martian will show text, e-mail and other notifications from your smartphone and let you use voice commands to send texts and do other tasks hands-free. We already liked headphones from Koss, but their Fit Series is designed for and by women. They’re available in two styles: The FitBuds are standard earbuds, and the FitClips are earbuds with a flexible plastic “clip” that fits behind your ear to hold them in place. Both styles are smaller and lighter than your average earbuds and come with three cushion sizes to fit perfectly in any-size ear. They also come in a variety of colors — none of them pink. If you don’t like the sporty look of the Koss Fit Series, Handcandy’s LadyBuds may be just the thing. These headphones are disguised as colorful necklaces, so you won’t get any odd looks if you’re the sort to wear them looped around your neck even when you aren’t using them. And if LadyBuds are too brightly colored for you, you might appreciate the similar but more muted colors of the DudeTunes lineup. Each set has a built-in microphone so you can use it for talking on the phone and, like the Koss earbuds, it comes with three different cushion sizes. 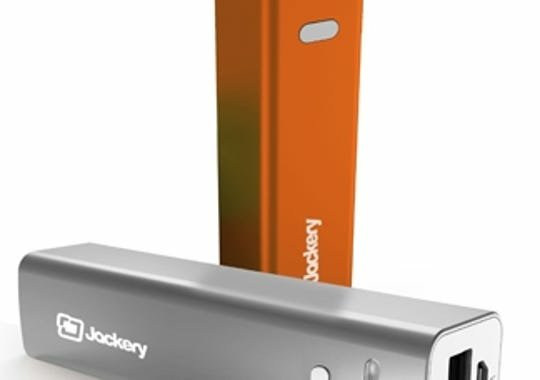 If you find yourself always searching for your keys, the television remote, or even the cat, Stick-N-Find has a high-tech way to never lose anything again. These quarter-size buttons can attach to anything — even pets, kids and spouses — and then you can find whatever you’ve stuck Stick-N-Find to by using a smartphone app. Sadly, this convenience doesn’t come cheap — price starts at $49.99 for two buttons — but for the forgetful among us, it’s a godsend for misplaced treasures and vital equipment.